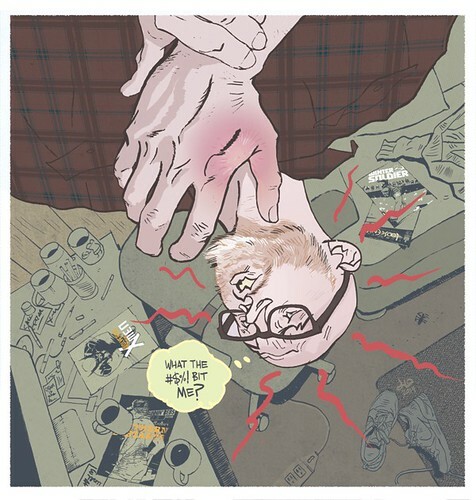 Jason Latour is a writer & artist. He is the co-creator & artist of the EISNER & HARVEY AWARD winning series SOUTHERN BASTARDS at Image Comics, as well as the co-creator & writer of SPIDER-GWEN at Marvel. In 2015 he won the NATIONAL CARTOONISTS SOCIETY'S RUEBEN AWARD FOR COMIC BOOK ART. Charlotte, North Carolina is where he learned to draw(l). For art blog updates please visit MY INSTAGRAM ACCOUNT or MY TUMBLR PAGE. Inane rambling can be found on TWITTER. Upcoming appearances are releases are on the side bar to the right of this page.